We have experience planning travel for parties of all sizes, interests, and budgets. Finding an agent who understands all of this can be the difference between an okay vacation and a great one. What tours, attractions, or activities did you particularly enjoy? 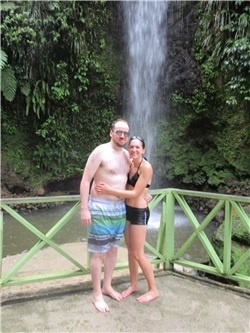 Amanda booked the Sulfer Springs and Waterfall tour for us! We had a fabulous private tour of the island! It was such a fun experience! What was your favorite part of the trip? Relaxing at the pool and swim-up bar! Any other questions or comments? Amanda was outstanding! She made our honeymoon travel arrangements a breeze! I didn't have to do or worry about a thing! We will have Amanda help with every trip from now on!